A new political crisis in Greece? The Greek coalition government – composed of the leftist SYRIZA and the right-wing Independent Greeks party – has proven resilient for four years. This is a new record for a government staying in power during the ongoing economic crisis in the country. To recap events of recent years, the center-left PASOK government came into power in October 2009, but then collapsed in October 2011 with then Prime Minister George Papandreou's resignation. Α coalition cabinet stepped in to govern until the twin elections of May and June 2012, after which the conservative New Democracy cooperated with PASOK until December 2014. That month, parliament was dissolved, being unable to elect the new Greek president. In January 2015, the SYRIZA-Independent Greeks administration started, and their mandate was renewed in the national election of September 2015. 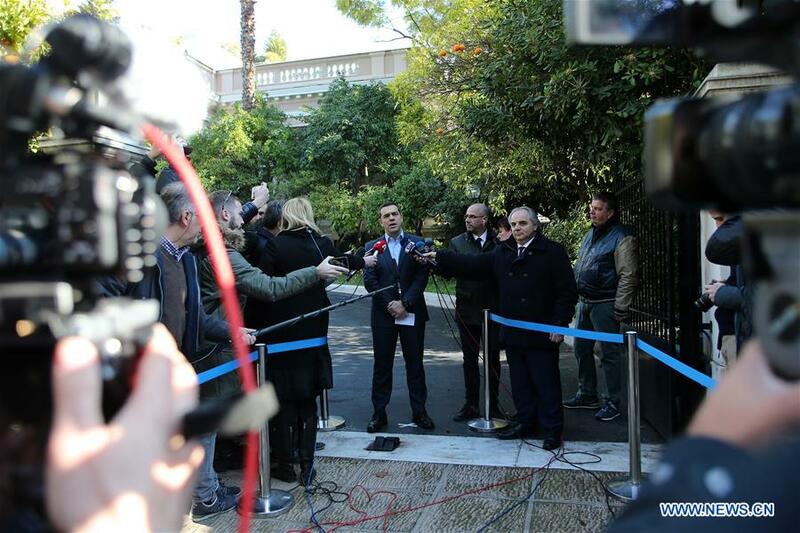 Now, at the beginning of 2019, a serious disagreement has arisen over the Prespes agreement, with Prime Minister and SYRIZA leader Alexis Tsipras on one side, and Defense Minister and Leader of Independent Greeks Panos Kammenos on the other. Signed in July 2018, the agreement paves the way for resolution of the name issue between Greece and the former Yugoslav Republic of Macedonia. The two countries have agreed on an erga omnes usage of "North Macedonia." The parliament of the Former Yugoslav Republic of Macedonia has already voted in favor of certain constitutional changes that will allow it to join NATO and the European Union under the new name North Macedonia. 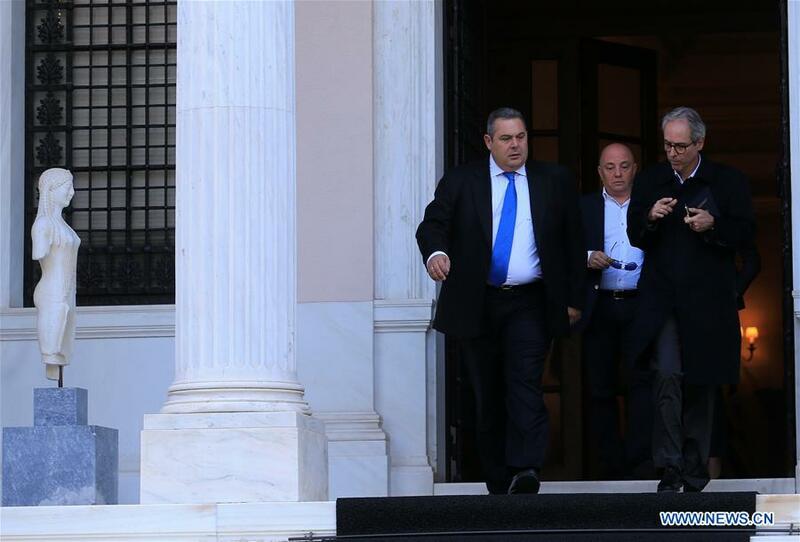 It is now the turn of Greek MPs to approve the Prespes accord, but Defense Minister Kammenos decided to resign because he opposes the naming compromise. As a result of this conflict, the cohesion of the coalition government has been shaken. In response to Kammenos' resignation, Premier Tsipras is asking for a confidence vote in parliament in an attempt to prevent an early election. The outlook from here is not clear. Although Kammenos is publicly encouraging all Independent Greeks MPs to follow the party line, some do seem unprepared to vote "No" in the confidence vote. Therefore, the possibility that SYRIZA will not reach the necessary threshold of 151 MPs must not be excluded. It is currently in search of six MPs who can join the 145 in its parliamentary group. These six may include former Independent Greeks members or other MPs who do not want an early election. If SYRIZA hits the number, Tsipras will continue as prime minister and will be able to bring the Prespes agreement for parliamentary approval. Soon enough, however, Greece will have its national election. Four years from the last election, as stipulated in the Constitution, would mean summer of this year. Of course, timing matters. Should SYRIZA survive the confidence vote, the national election might be organized in parallel with the European Parliament election in May, unexpectedly, or towards the end of the governmental term in September. Tsipras is well aware that SYRIZA's popularity is lagging behind the opposition New Democracy party in the polls, but he will passionately try to re-attract disenchanted supporters of his party and rally a raft of voters belonging to the center-left political spectrum. Meanwhile, the New Democracy leader Kyriakos Mitsotakis has failed to inspire undecided voters, so the election results cannot be presumed. Past experience from the Greek crisis suggests that political developments like these have a serious impact on the economy. Being a national election year, it is hard to make a sure prognosis about the course of the economy in 2019. During a pre-election period, Greek politicians tend to overlook fiscal targets and obligations, which means the possibility of some backpedaling. In the first days of the year, German Chancellor Angela Merkel visited Greece and publicly praised the economic achievements of recent years. However, this does not mean efforts should cease. The enhanced surveillance of the Greek economy by its creditors aims to prevent deviations and guarantee that economic policies remain in line with agreed-upon goals. In short, if this year's pre-election period is prolonged, that will be bad news for Greece and its national economy. On the other hand, if the election takes place early, the winner party will need partners to form a government. Ten years after the outbreak of the crisis, when the country's economic program is largely being imposed by creditors, politicians still lack the maturity to seek broader coalitions. It seems the one thing that is certain is that disagreements between the government and the main opposition can be expected to continue. Despite the relative resilience of the Greek coalition government over the past four years, a new conflict over the renaming of the Republic of Macedonia may spell further upheavals to Greece's governance and economy.